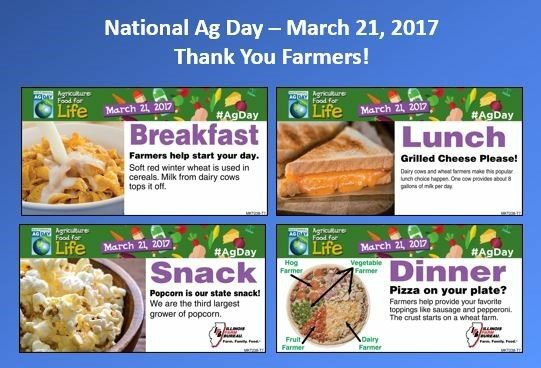 National Ag Day! Thank A Farmer! Did you know that March is National Ag Month and March 21st is National Ag Day? It can be easy to take our abundance of high quality, nutritious food for granted however, there is a group of hard-working and dedicated Americans who provide food for not only us but the entire world. The American Farmer! Soybeans- The average American consumes nearly half a cup of soybeans in some form each day. Specialty Crops- In a lifetime, the average American will consume enough veggies to fill 16 pickup trucks. Specialty Crops-In a lifetime the average American will consume 2 football fields of wheat. Pumpkins- Pumpkins range in size from less than one pound to more than 1,000 lbs. Poultry- A hen with a white earlobe will produce white-shelled eggs. Pork- Illinois currently ranks 4th in the US for the number of pigs raised. Dairy- All female dairy cows must have a calf in order to produce milk. Dairy- On average, each cow produces enough milk to fill 125 glasses, that’s about 8 gallons per day. Again, we say “Thank You Farmers” from your friends at Gateway FS Construction Services! We are grateful for all you do. If you had the choice between purchasing entirely new equipment or making a few upgrades to your existing equipment to achieve the same result, which would you choose? It’s probably a no-brainer, right? This is our mentality at FS Construction Services as well. There are, of course, times when a complete replacement of old equipment is necessary, but if the same results can be had with some simple upgrades, you can bet that’s what we’ll suggest. Customers that have saved time and money are happy, and that makes us happy too. This was exactly the situation with an existing 25’ x 55’ Harvestore Silo in need of some serious upgrades. We were able to perform a necessary remodel on the feed storage system and not only extend its lifespan, but also improve its productivity. Over the course of a few short days, FS Construction Services installed a brand-new Sukup bin floor offering twice as much strength as traditional bin flooring, a commercial-grade strength power sweep, and a new access door to the system. 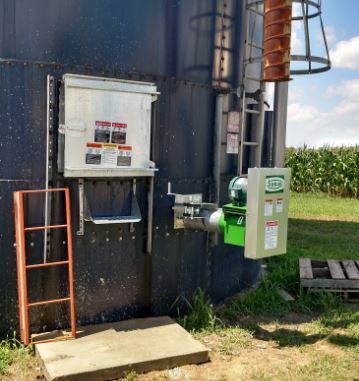 By choosing to remodel to their Harvestor silo with Sukup equipment (floor, unload and door), our customer was able to save the time and money that would have gone into a completely new system while also getting the functionality and performance needed from the existing equipment. If you’re not sure whether your equipment needs an upgrade or not, contact Josh Biffar or Nathan Koester. Our knowledgeable team is able to identify and pinpoint existing issues with existing systems and machinery and can suggest the most affordable and beneficial path forward. At FS Construction Services, we can help with nearly any brand of equipment including GSI, Sukup, Brock, Hutchinson and all your Grain Drying and Aeration, Grain Storage plus Handling and Transfer needs. Don’t let your equipment hold you back. If you’re interested in equipment upgrades, remodels, or have other maintenance needs, call Gateway FS Construction Services. You can depend on us to provide the best products and services at the best possible price. For more information contact us at 866-551-3454. We look forward to providing you with the best customer service experience. At FS Construction Services, we’re pretty comfortable saying we know a thing or two about buildings. Of course, we happily work with a variety of construction materials, knowing there is a right time and place for both Pole Barn (Post-Frame Building) and the Steel Building options. However, there are instances when the benefits of a steel building simply make it the right solution for the project. Steel ‘equals’ strong, and while that’s unquestionably true, steel also ‘equals’ flexibility. Steel’s incredible strength allows it to provide uninterrupted heights and spans for a seemingly endless array of building sizes, types, and functions. This makes steel buildings particularly suited for agricultural and machine storage. 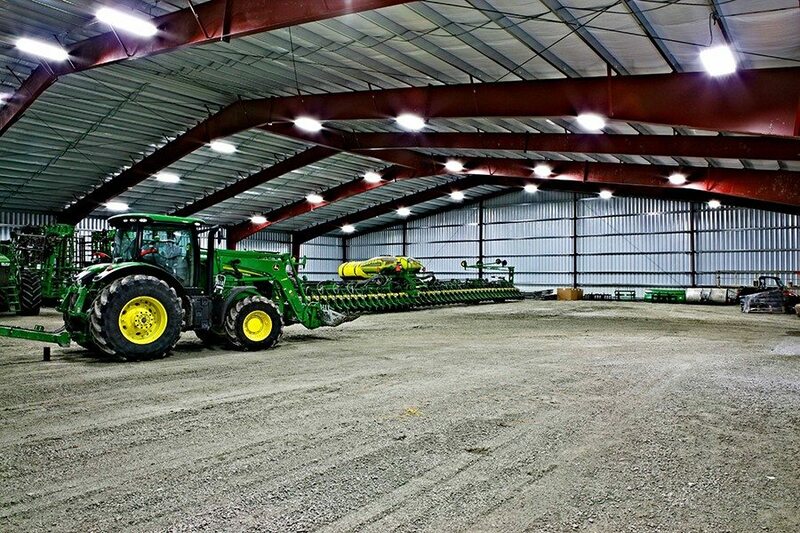 Need 100’ of clear, open space so you can store your combine without worrying? Let the professionals at FS Construction Services design and plan the right solution for your specific needs. Need more manufacturing space, office space, or a commercial structure, our experts can help there too. However, what some people don’t realize, is just how many other possibilities steel construction allows. We partner with two of the premiere leaders in the field of custom clear span steel buildings: Sukup and Butler Manufacturing. FS Construction Services has partnered with these two outstanding building manufacturers so we can be sure to meet whatever steel building needs you have. Both Butler and Sukup Manufacturing offer a wide variety of building types, options, accessories, and topnotch materials so you can be comfortable knowing your building, and whatever is stored inside of it, will stand up to the test of time and the test of the elements. If you’re interested in seeing just how many possibilities are available, you can follow these links to the Butler Building Gallery and the Sukup Building Gallery. One more thought when considering your next building project. Let our building and construction expert, Tom Marcheski, and our team help develop the right solution for you. Whether steel building or pole barn construction we have the experience to design the optimal solution that provides the functionality and durability you need. Plus, we can walk you through the many options that will help make your structure truly unique to you. Just a few of these include: Exterior and Trim Color Options, Eave & Rake Extensions, Overhead Door Installation, Corrosion-resistant Exterior and Interior Wall Panel Options and more. In the market for a steel building? Have some questions and want to talk to an expert? Let Gateway FS Construction Services know how we can help. Give us a call at 866-551-3454 and let us know! We look forward to providing you the best customer service experience.